Missouri Republican Party announces relaunch of website! MRP announces the relaunch of its website with supporters in mind, making it easier to be involved and to learn how to make a difference in one's community. The website can be found at www.missouri.gop. Every page is easy to understand and was designed with supporters in mind. Take a look and stay engaged online with the Missouri Republican Party. Make a difference in your community by joining the effort to elect Republican leaders across the State of Missouri in 2016 and beyond. Visit the newly relaunched website here to learn about how you can take action, check the calendar of statewide Republican events, view news releases, learn about party structure and/or donate. Find them on Facebook and follow on Twitter with the provided links under the tab marked Action Center. on Saturday, September 12th in St. Louis. 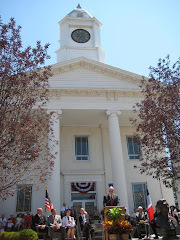 Lafayette County Republicans County Caucus - April 9th. Details to be announced here and on social media sites. 2016 Republican National Convention in Cleveland, OH. on April 30 and the State Convention in Branson on May 20-21. Local Caucus Rules: For the first time, the MRP has passed a single set of rules that each county or local caucus must follow. These rules were passed to make the process fairer and easier to understand, ensuring that all participants know how the caucuses will run before they arrive. Delegate Numbers: Over the years, the number of delegates and alternates at the state convention has grown to an unreasonable level. The State Committee adopted a new formula that reduces the overall number of delegates by approximately 15% from the 2012 totals. Most counties in the state will see a slight reduction in the total number of delegates they will receive. See how many delegates your county has been assigned here. Caucus Notice: Counties are no longer required to publish notice of their caucuses in their local newspapers (though they may if they choose); however, counties must provide the state party with advanced notice of the caucus location for publication on our website, MOGOP.org. Recording: To ensure an open and transparent process, caucus attendees are free to make audio or video recordings of the proceedings. and other materials to ensure you have a successful caucus.